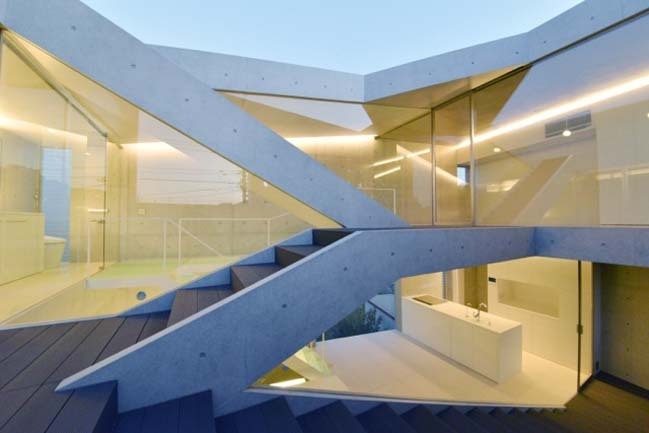 Located in Narashino, Japan. 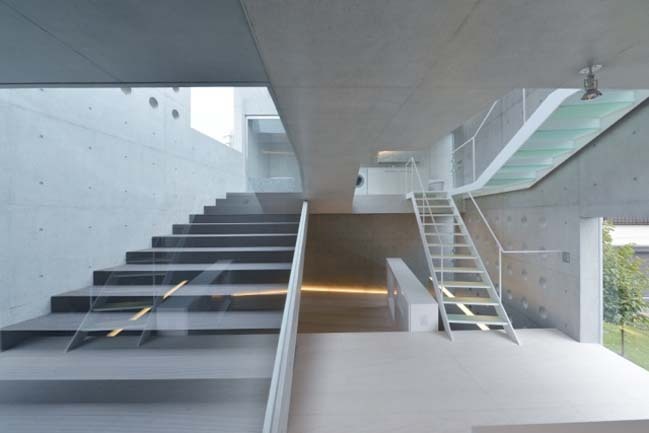 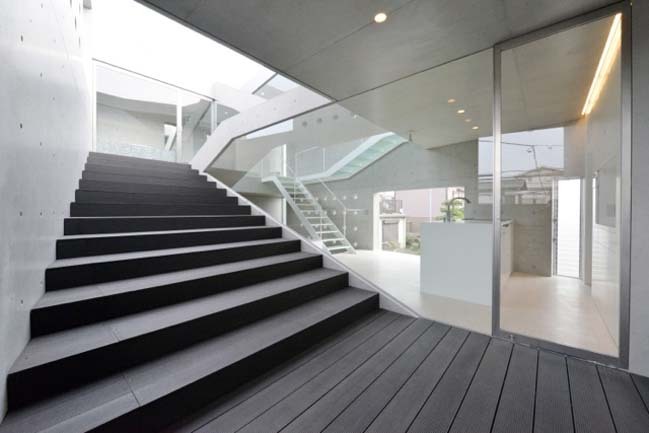 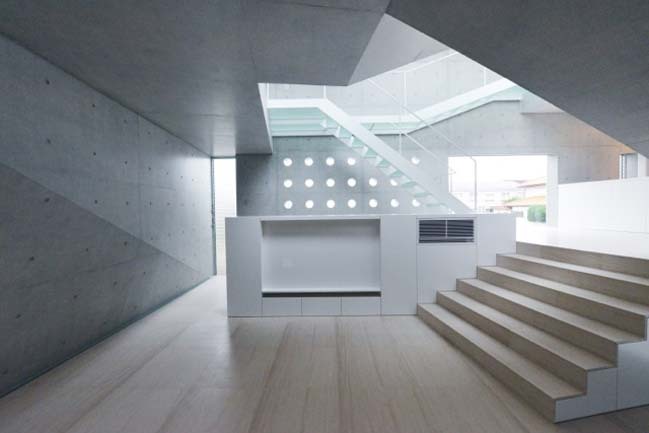 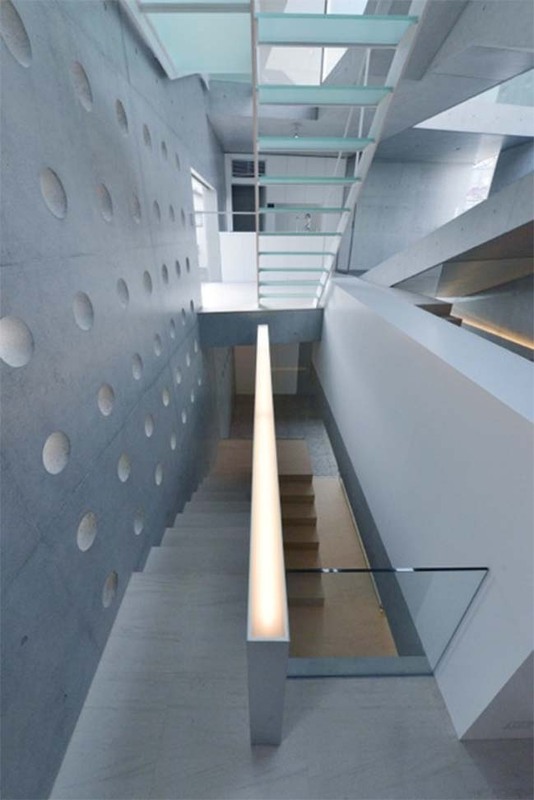 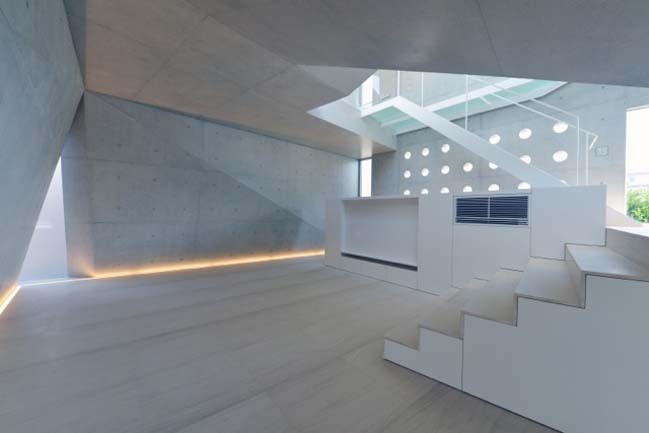 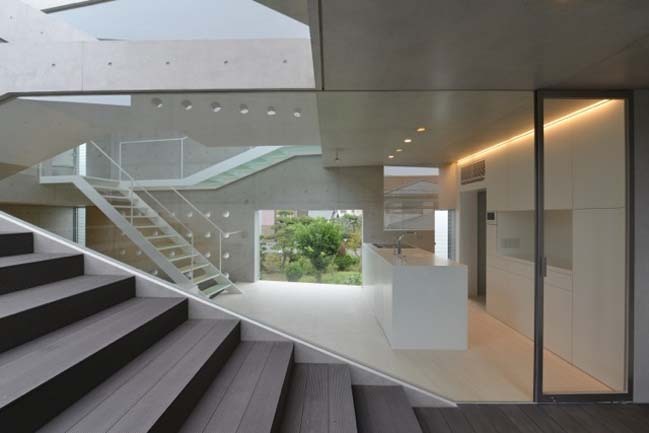 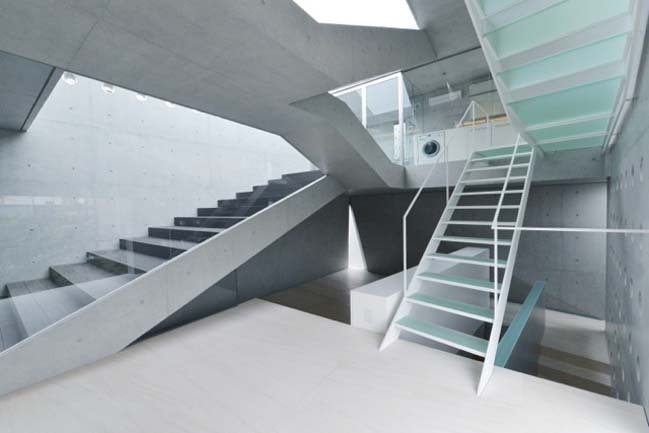 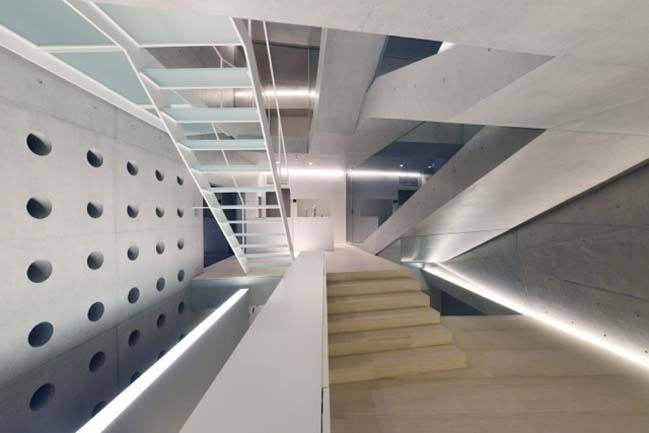 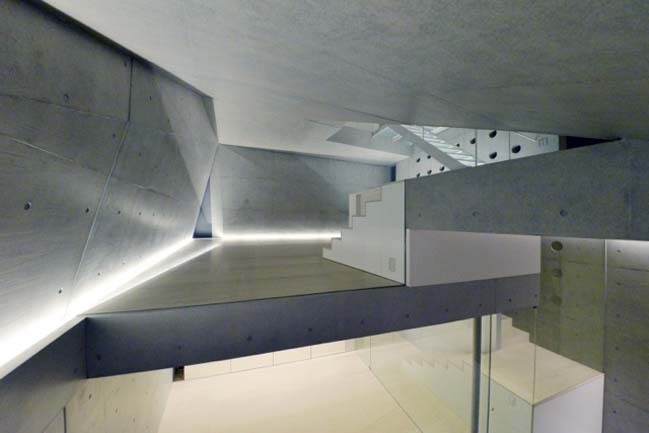 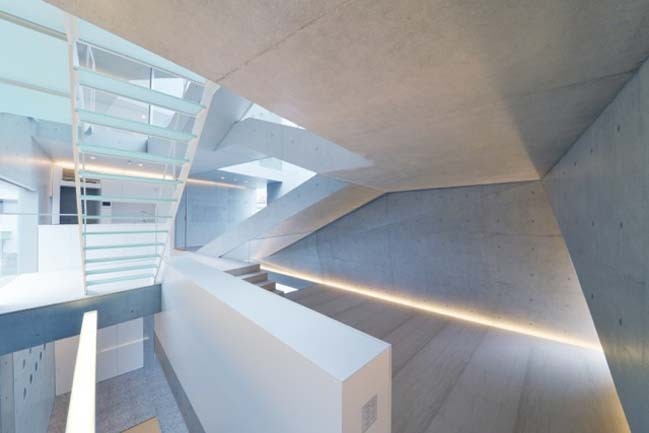 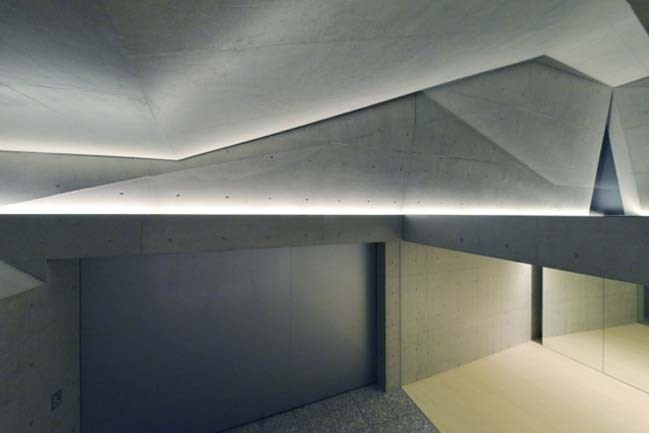 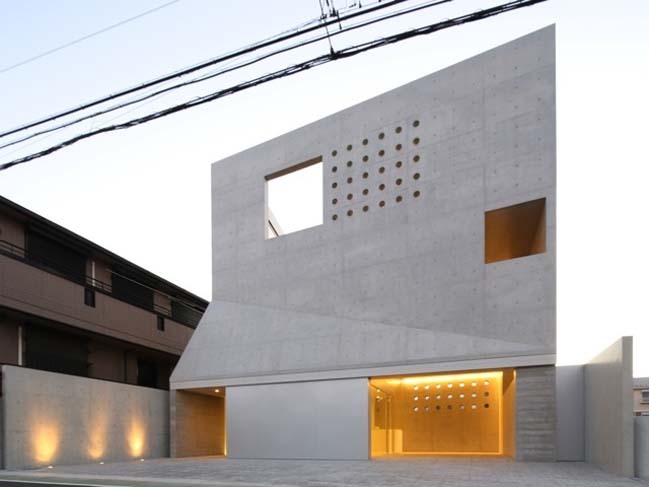 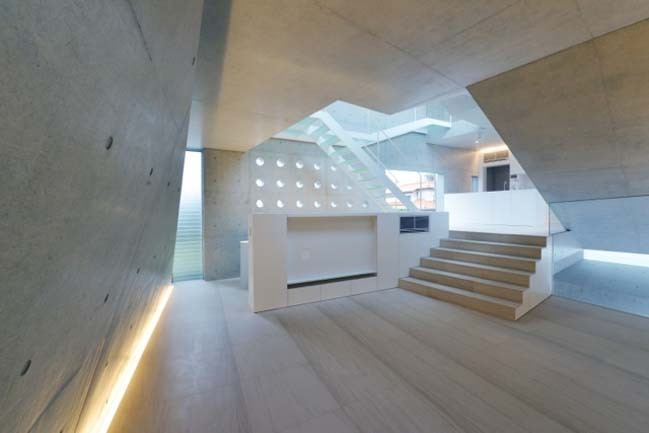 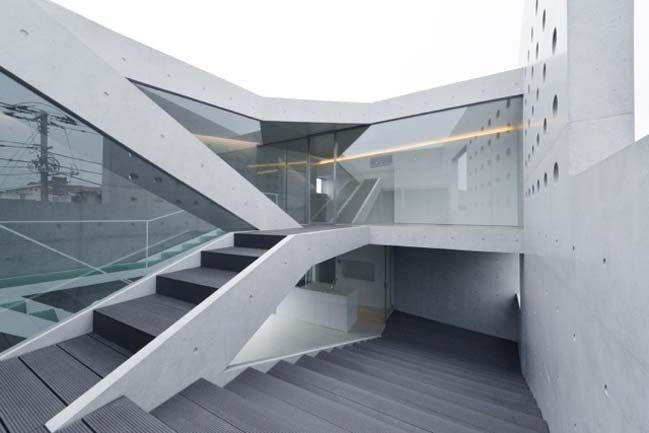 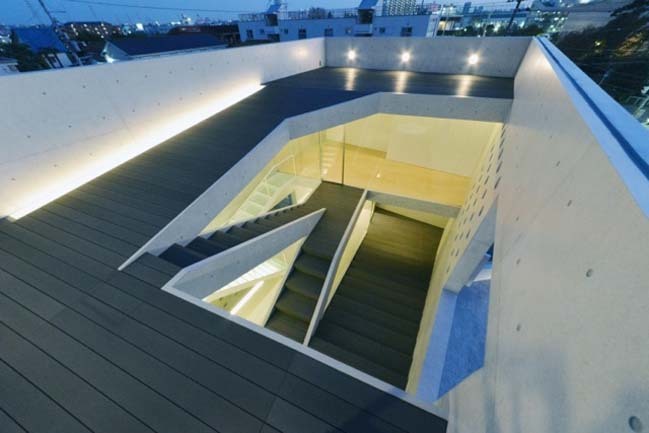 This beautiful townhouse has futuristic design with concrete like as main material. 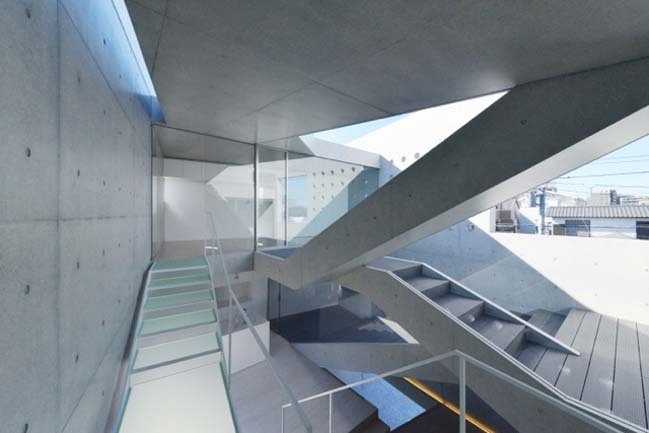 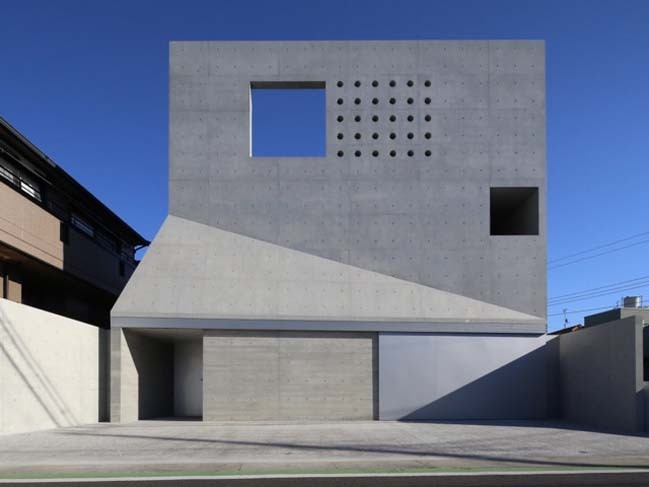 It was completed in 2014 by fuse-atelier. 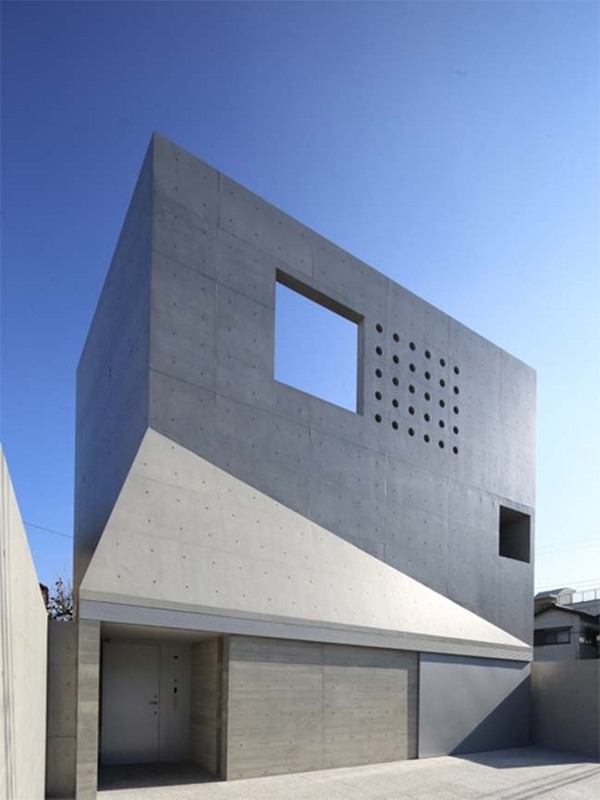 The townhouse placed on the border of commercial and residentail area that follows from the station, even large-scale stores nearby. 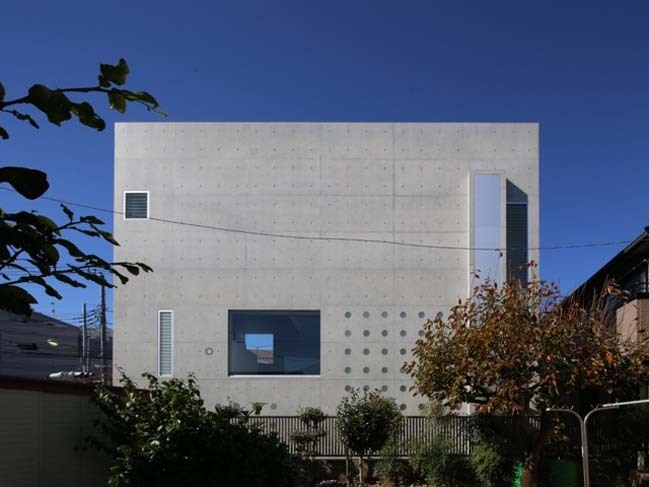 The client requests a concrete house that ensuring a freedom spacious living space but stil privacy with contiguous houses.